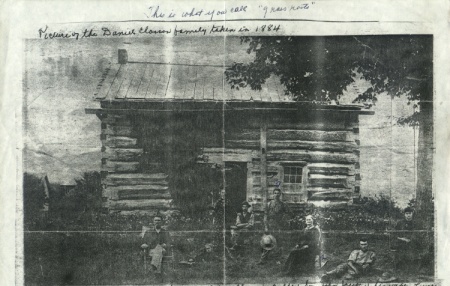 Comments: CLOSSON (Nee: ) | | 1851-1900 | Comments: This photo taken 1884 is of the original CLOSSON homestead. The father here is Daniel Closson, the mother Sarah MacArthur. Children John Jacob, William, Albert, and Daniel Delbert. Along with the boys wives Laura? and Sarah ?